Family Finds 6 Foot Boa Constrictor Living in Attic! We all have certain animals that give us the heebie-jeebies. Under no circumstances would we want to come face to face with that animal, and certainly not in our own homes. For some of us, spiders or bats are the fear factor while for others it's a certain slithering creature: snakes. 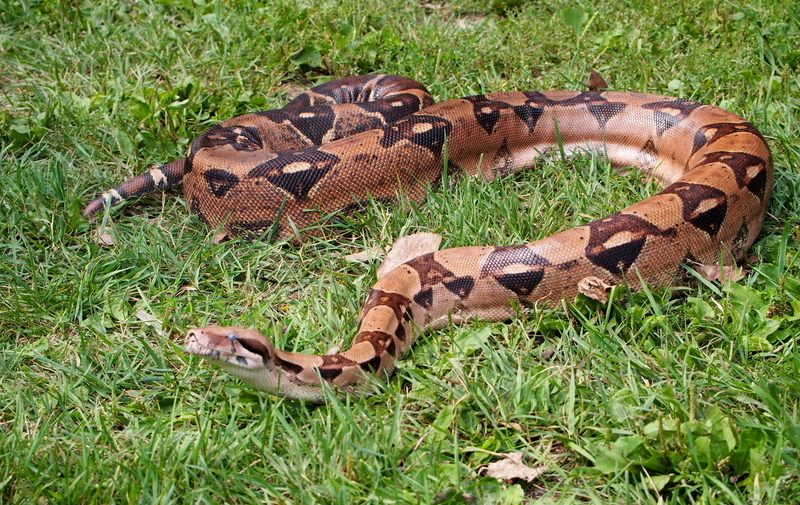 Unfortunately for one family, a boa constrictor was using their attic as its own home. The snake used its stealthy ability to glide over surfaces to keep the noise to a minimum and remain under the radar. Most people are already reluctant to go into their attic so this snake story isn't exactly a reassuring one for homeowners. Keep reading to learn if this family was finally able to make their attic snake-free! How can anyone not freak out?? I had 2 boa`s. Mine were 9ft and 11ft. I raised them both from very small. They have a better tempermant than other snakes like pythons but I found them another home after my son was born. I hope they didn`t harm the one found.